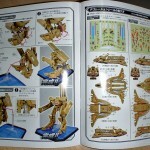 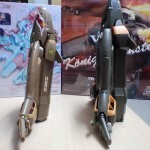 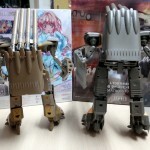 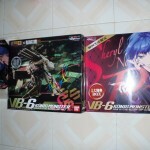 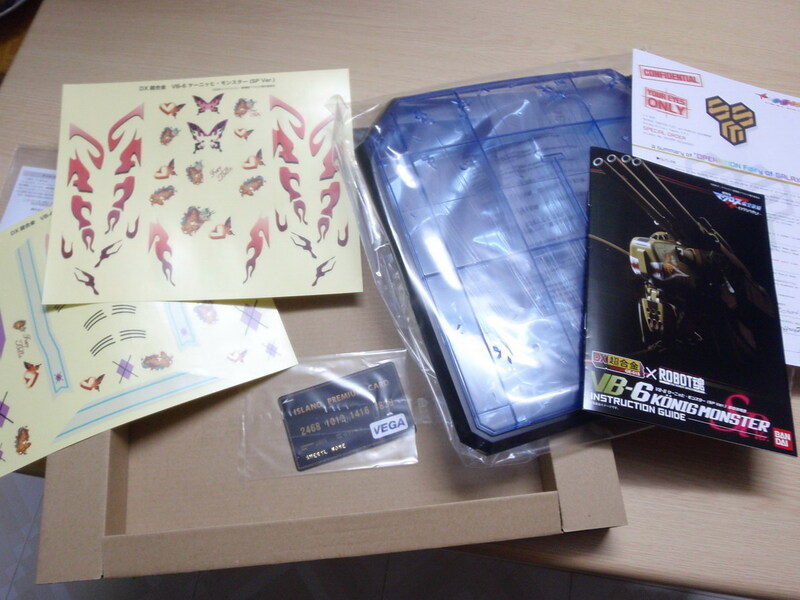 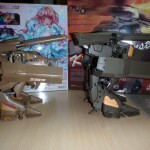 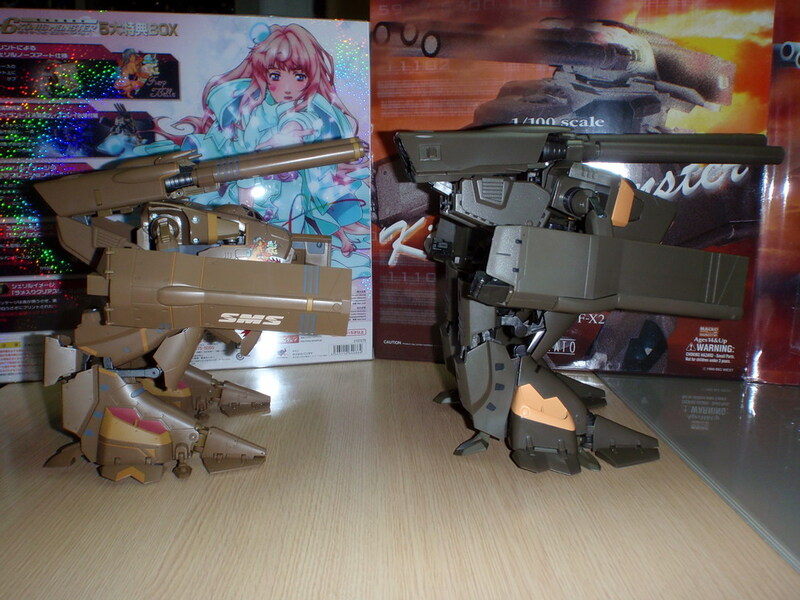 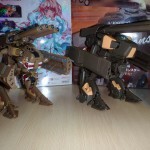 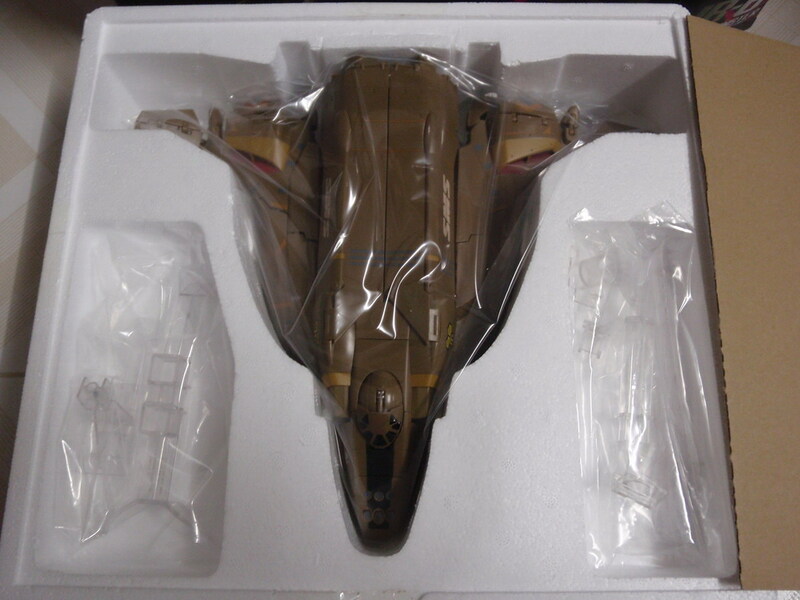 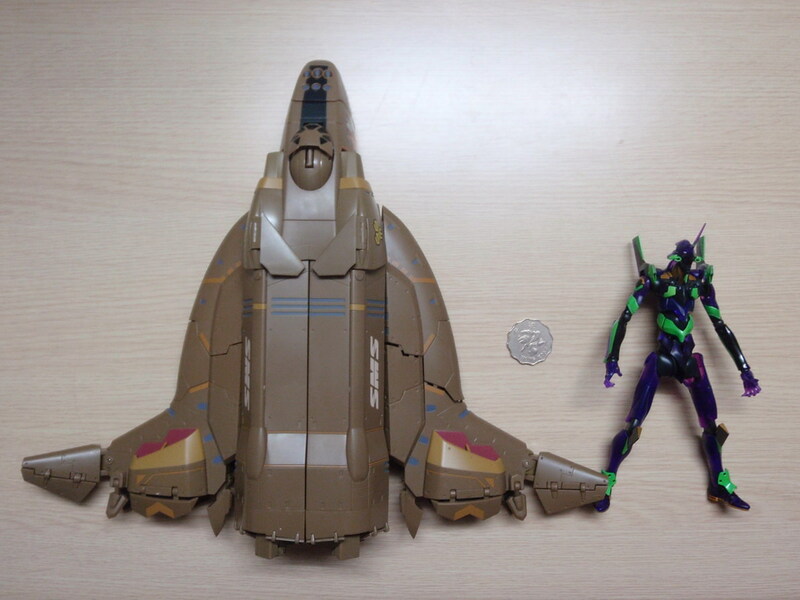 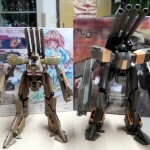 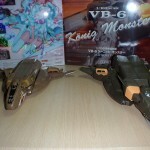 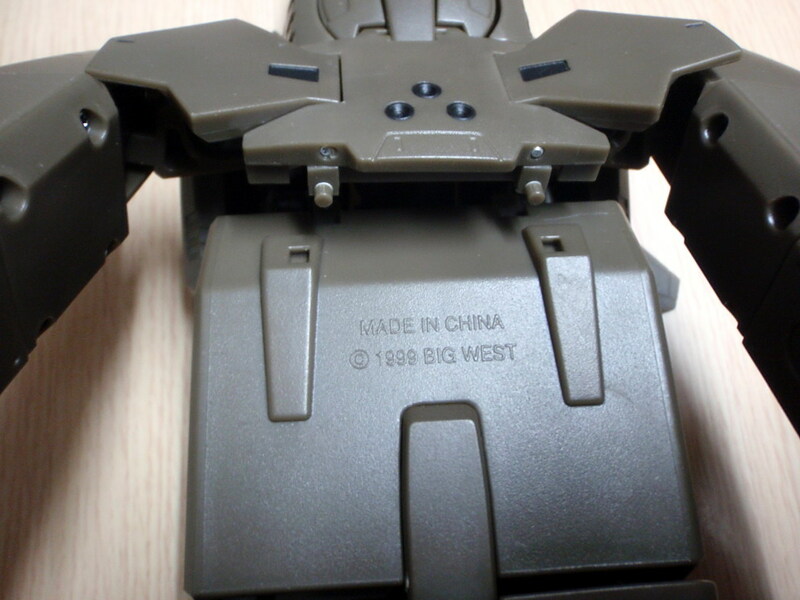 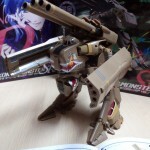 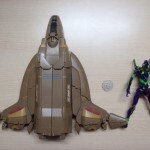 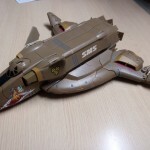 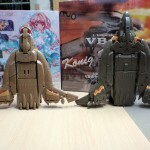 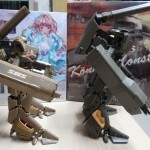 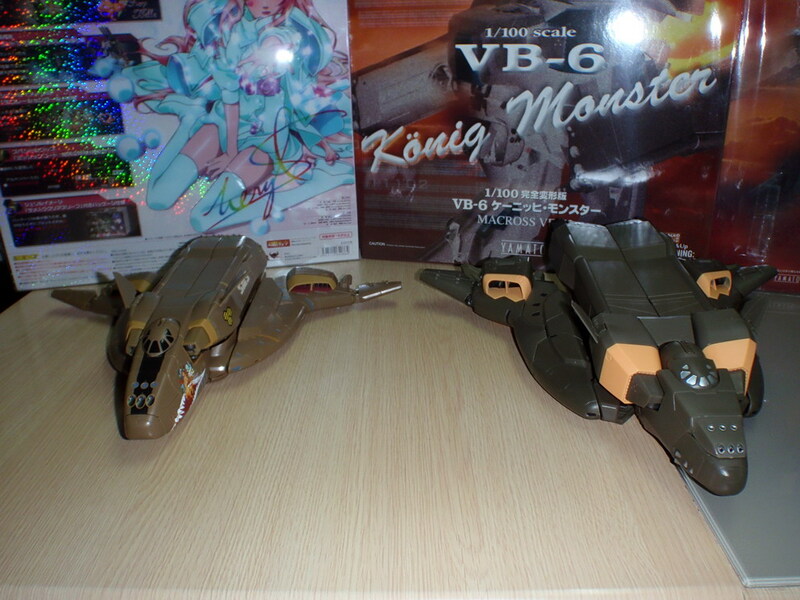 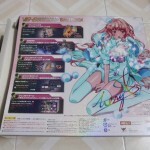 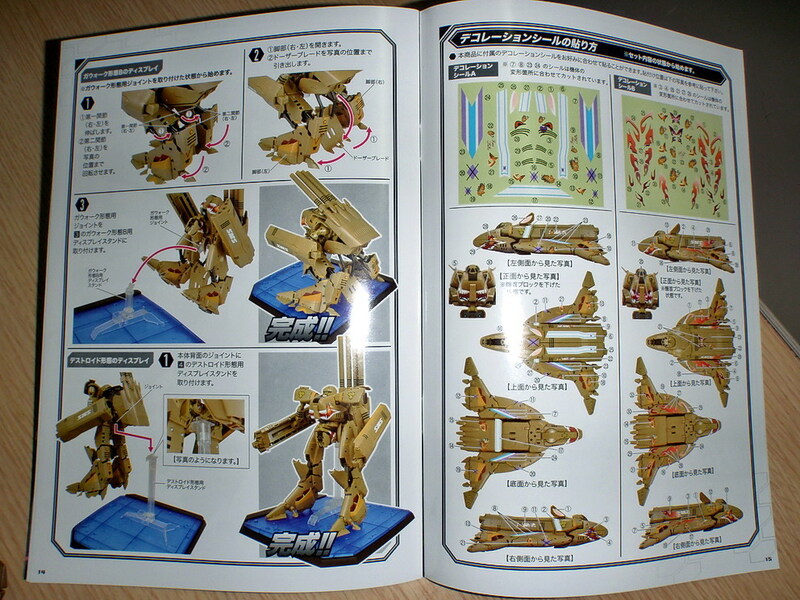 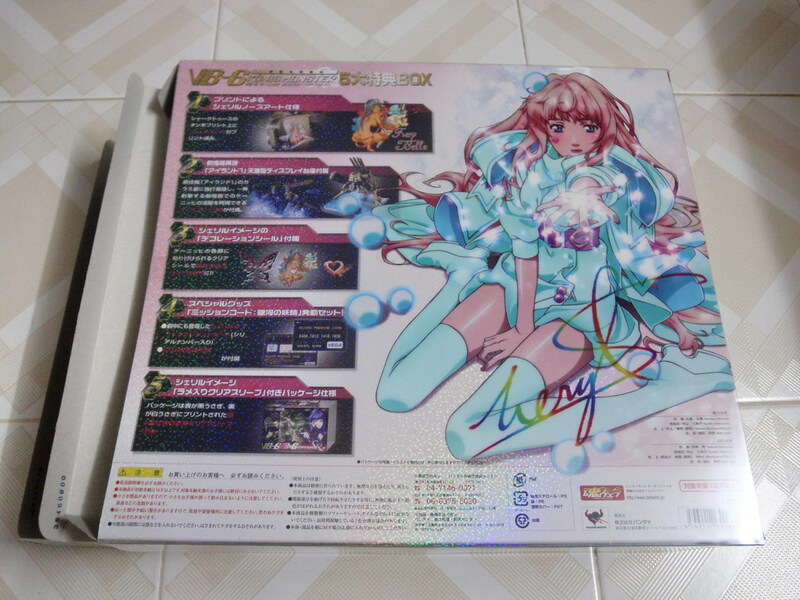 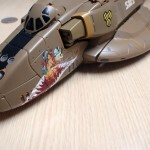 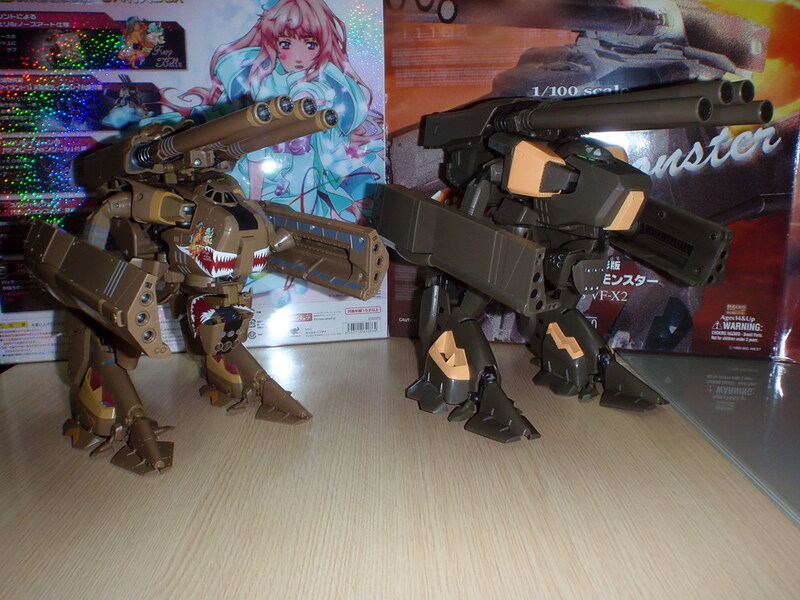 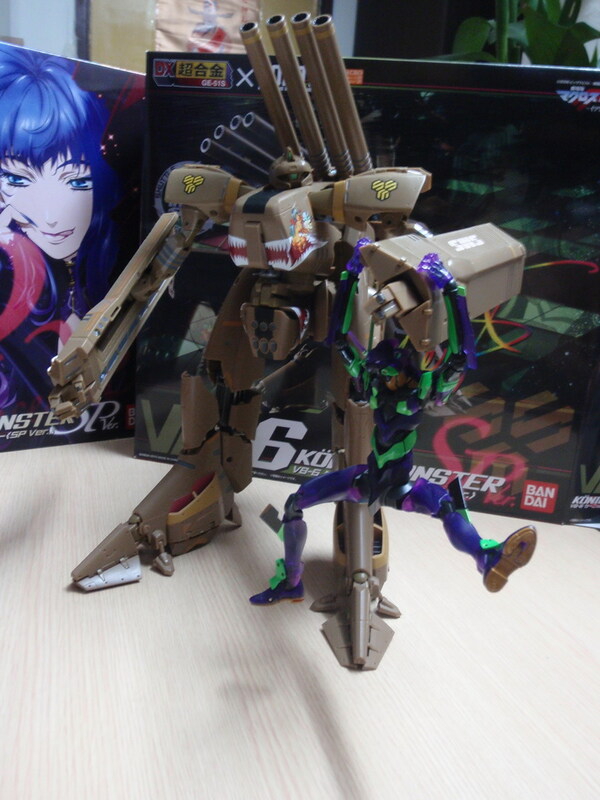 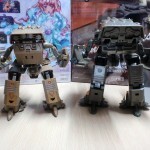 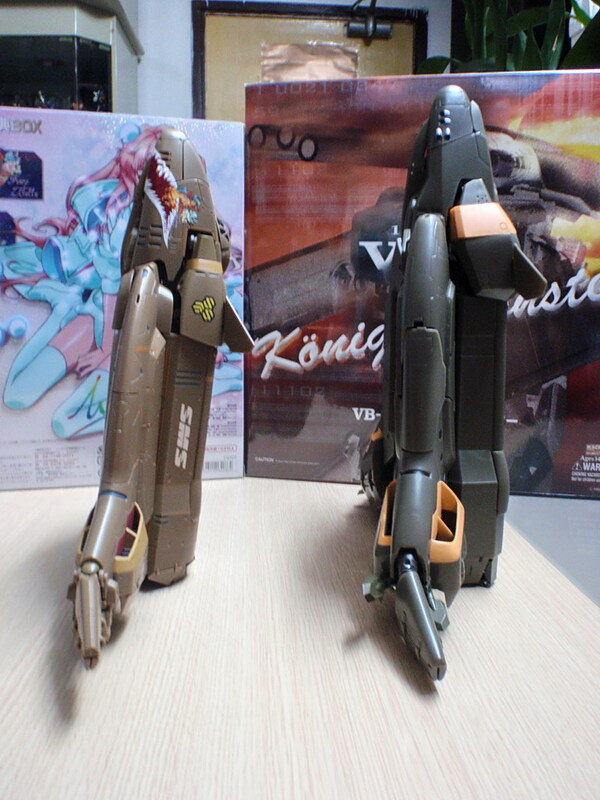 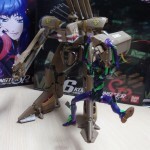 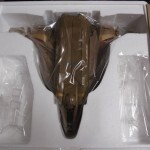 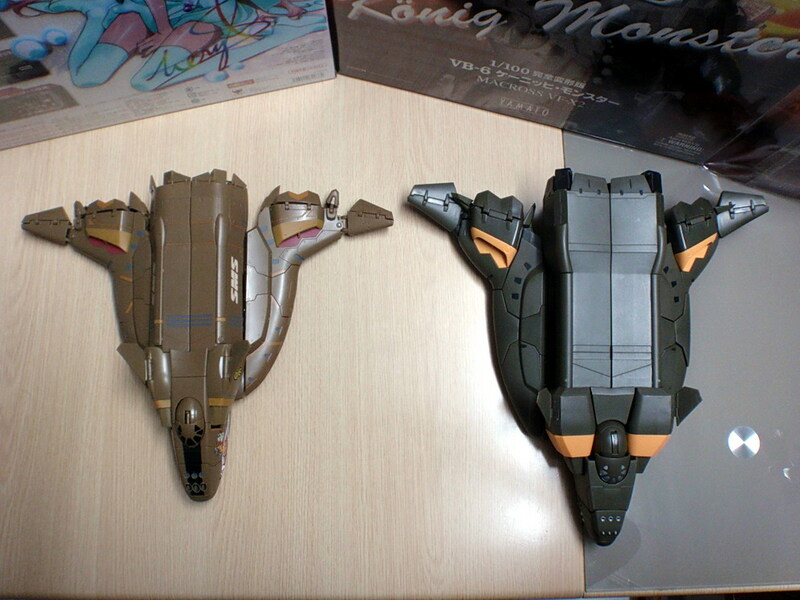 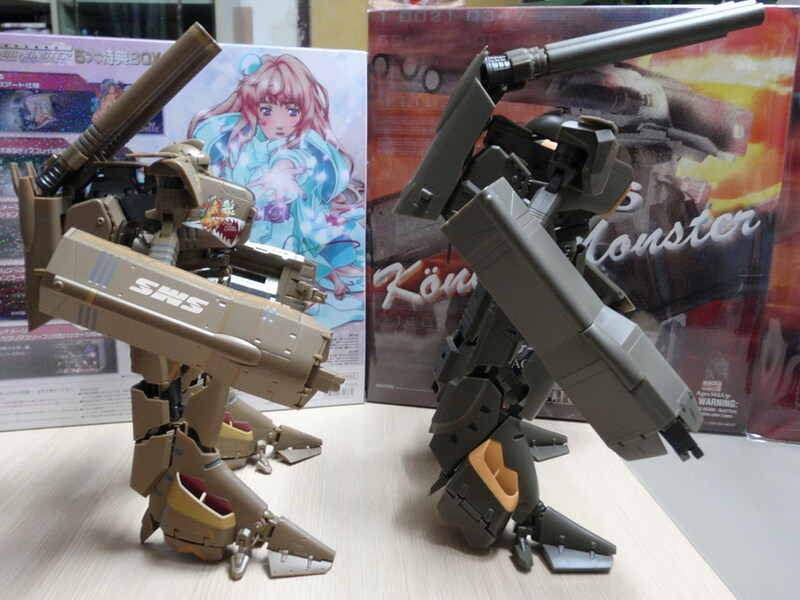 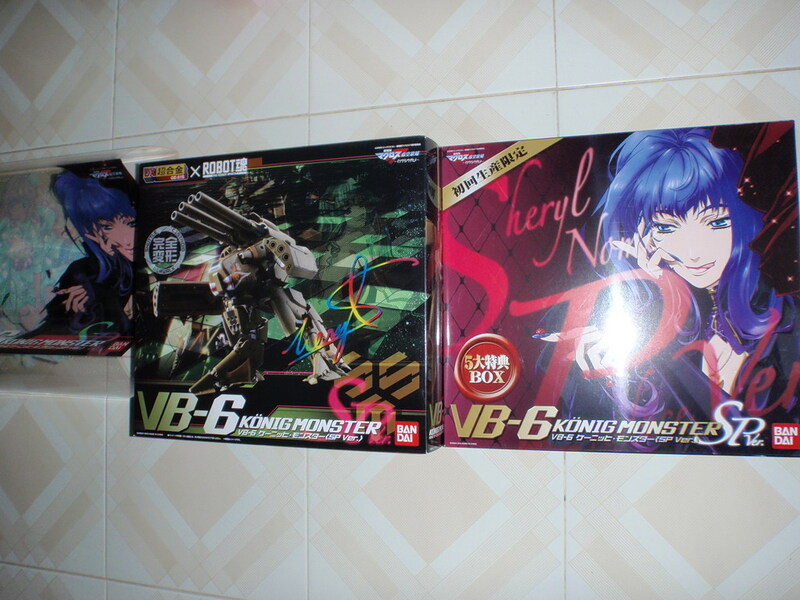 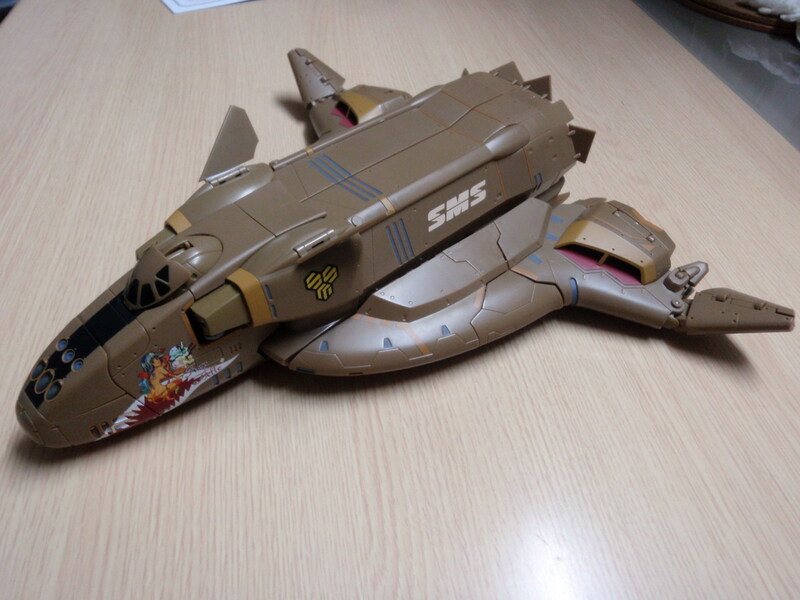 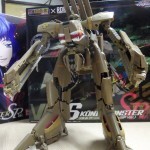 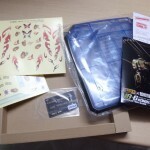 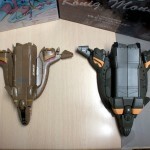 ToysDaily member mankind has posted images of the DX VB-6 Konig Monster from Macross Frontier! 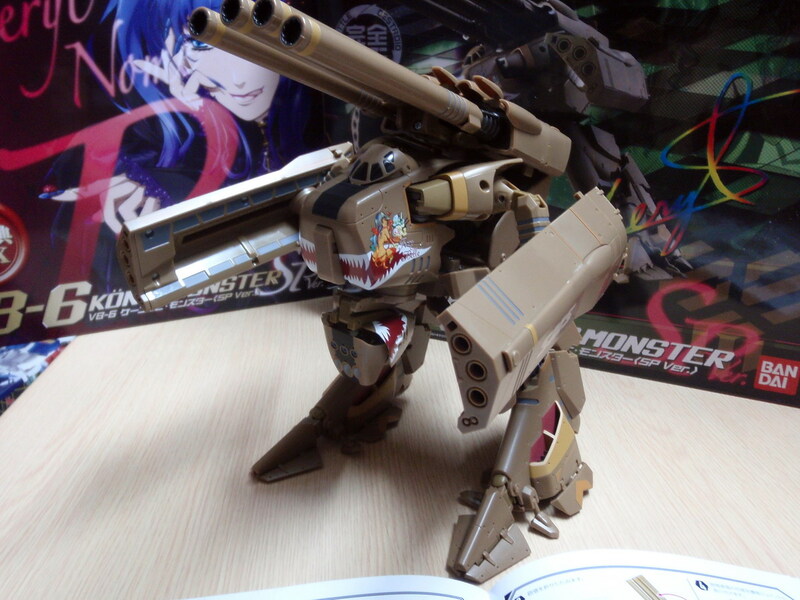 This toy by Tamashii was released recently. 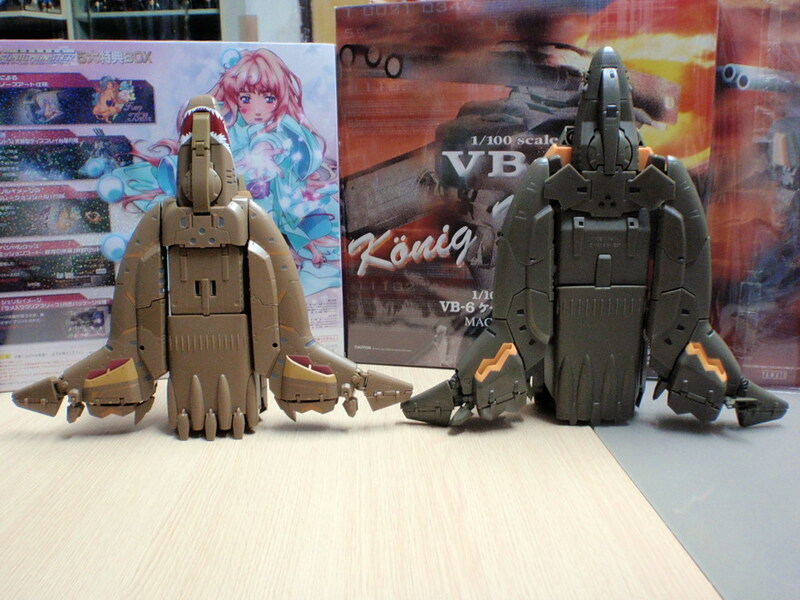 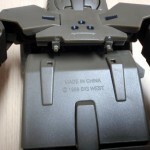 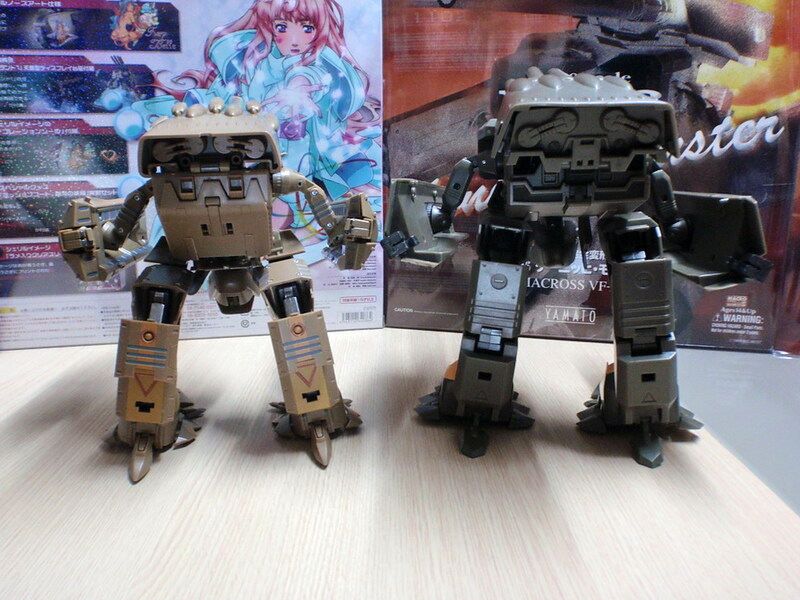 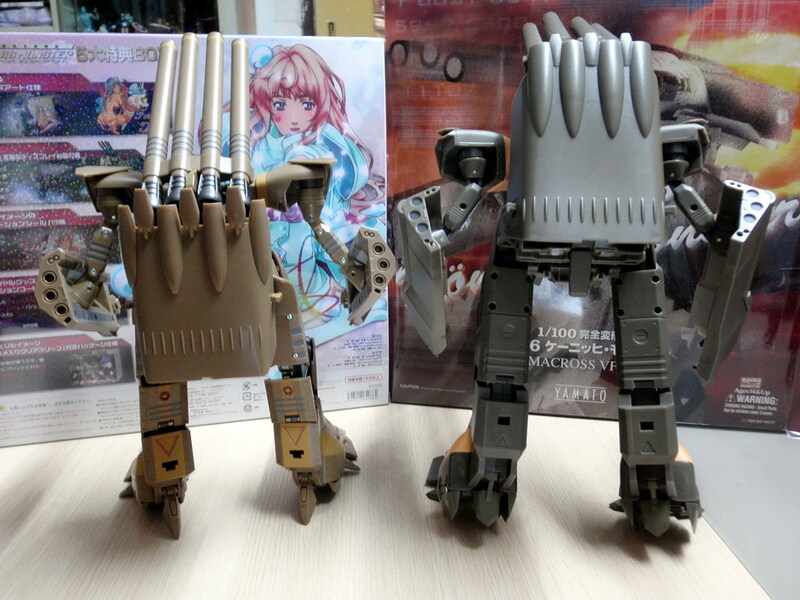 Mankind posted images not only of the toy out of package, but also comparisons with Yamato‘s bigger Konig Monster from years back! 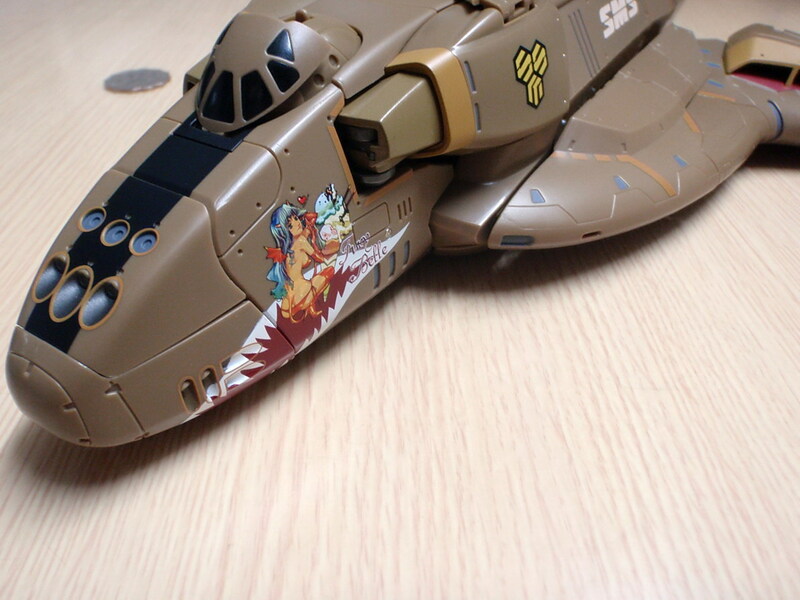 Hit the title bar to see how it fared, and if the Tamashii version is to your liking, head on over to site sponsor HobbyLink Japan, where you can also order the DX Konig Monster Special Version with Sheryl Nome stickers! 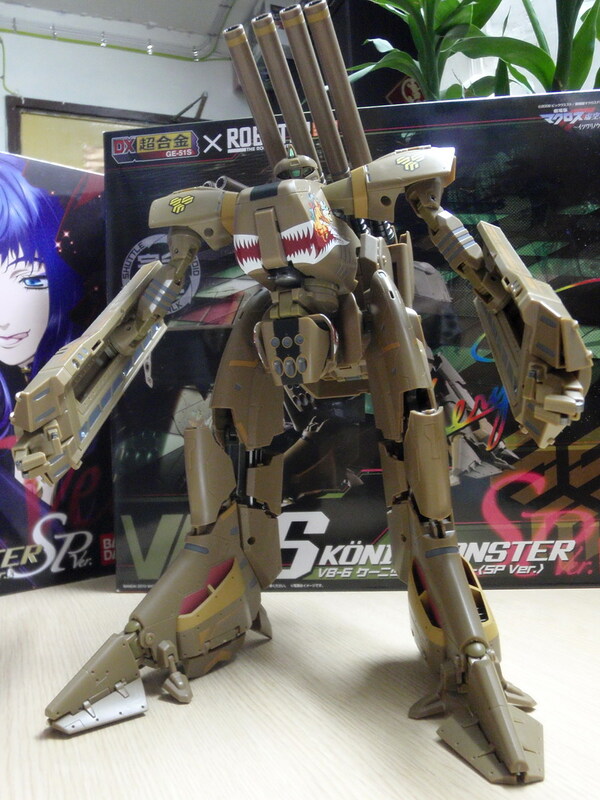 This is turning out to be a must have for me. 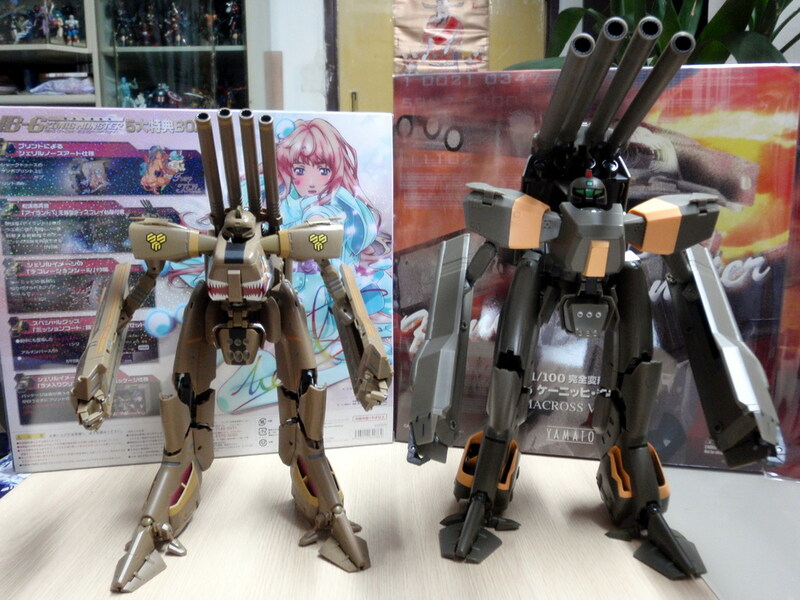 Too bad I have no money right now.